British Gas managing director Phil Bentley is set to step down from his role at the energy firm at some point in the upcoming few months. The announcement could come as soon as its parent company, Centrica, announces its preliminary results at the end of February. Centrica is also set to announce the outcome of a three-yearly strategic review at around the same time: a review that not only encompasses British Gas, but also an oil and gas production business and a US operation as well. Mr Bentley has worked at Centrica since 2000, initially taking the role of finance director before shifting across to the managing director role at British Gas in 2007. 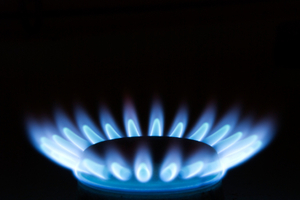 British Gas is part of the 'Big Six' energy firms, all part of the Warm Home Discount Scheme, who have come increasingly under fire from consumer groups in regards to escalating energy bills. Last year in November, the firm hit its customers with a six per cent price hike on their energy bills, blaming the increased cost of upgrading the UK's gas and electricity power grids as well as a host of other things, including increasing gas costs and levies being placed on all energy firms as a move to cut carbon emissions. In total, British Gas provides energy to over 15.8 million customers in the UK. Centrica is expected to announce profits after tax of over Â£1.4bn next month, whilst British Gas itself is forecasted to make a profit of Â£575m.